Last week my roommate tweeted that every Saturday is Record Store Day for him. It’s become a little tradition to start off the weekend by flipping through piles of old vinyl to find a treasure at Papa Jazz. We’re well aware of how lucky we are to have a record store like Papa Jazz, with a huge collection of old vinyl and knowledgable employees who don’t pass their music judgment onto the customer too much. Tomorrow marks the 7th annual Record Store Day, a day of exclusive releases and celebrating independent record stores around the country. For years, chain music retailers were a threat to independent record stores, then the digital music age came and wiped the slate clean, ridding most towns of chain stores and leaving the smaller locally owned stores to struggle through the changing landscape of the music industry. Many of those closed doors too, but the ones that survived are celebrated, supported by music enthusiasts year round and specifically on Record Store Day. Things aren’t what they were in the 90’s, but according to Monster Music’s Galen Hudson there’s a “new normal”. In his RSD email Hudson writes the following. It’s very difficult to encapsulate in a short space what RSD is all about, and if there’s one message we’d like to put across in addition to what’s already in here, it’s that any noise you still hear about the “declining music industry” is so out of date as to now be untrue. New record stores are opening, vinyl sales are skyrocketing, and paid downloads are in decline. While the glory days of the 90s are long gone, a new normal’s in town, and it is good. 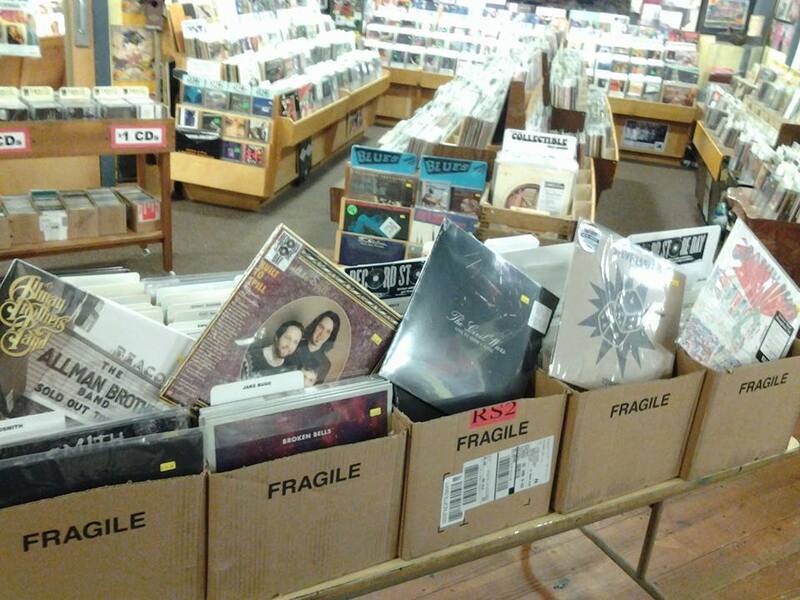 South Carolina has 19 record stores participating, with a few of those standing out. This year there are over 450 exclusive vinyl releases of all types. Lots of live recordings, lots of 7 inch singles, and lots of splits. If you’re not into vinyl, there’s still plenty for you. Monster Music and Cat’s Music in Charleston open at 8 am with a full day of food, live music, and storewide sales planned. Cat’s will also be hosting a an “Easter Egg Death Match”, with winners competing in sumo suits for the prizes & gift certificates. Monster will also have an Easter egg hunt, but no sumo suits. They will however have a bouncy castle, which is equally as fun. For those of you who “gram” on Instragram, you’re encouraged to take selfies at Record Store Day and tag them at Monster Music. This enters you to win a $100 gift certificate. Horizon Records 2014 record haul. Horizon Records in Greenville also goes all out on RSD, opening at 8 am and hosting live music from 2-6 PM. Here’s a list of participating record stores! Check out the ones near you. All of these record stores have awesome stuff for sale, we’re lucky to be giving away two SUPER EXCLUSIVE 12 inch vinyls. 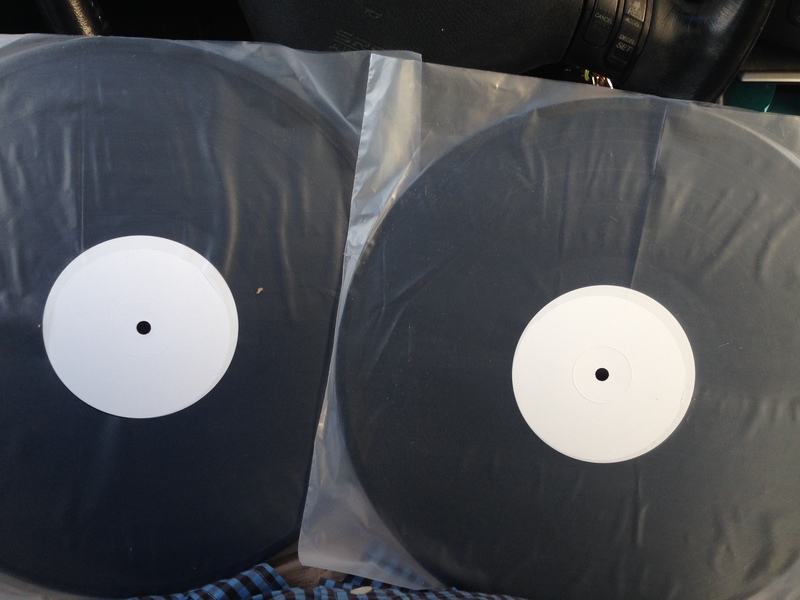 These are both out on Record Store Day, but we have extra special test pressings from Foals and The Flaming Lips. We’ll pick two winners, one for each.